The following are shoelace accessories from various merchants that either currently sponsor or previously sponsored Ian's Shoelace Site or at least sent some samples for me to try out and photograph. 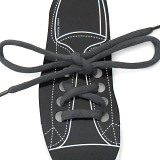 For those who prefer a shoe minus the bows and loose ends, Lace Anchors invisibly secure the ends of the shoelaces inside the shoe, transforming it into a neat slip-on. 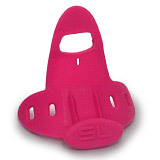 Safe Lace is a flexible silicone device that threads onto the shoelaces, then locks over the bow to prevent it coming undone. Soft enough to be comfortable, yet strong enough to hold. 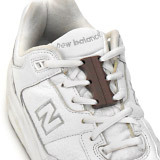 An alternative solution to prevent shoelaces from coming undone, Snap-n-Step is a simple snap-stud closure with Velcro on the inside that wraps around a shoelace bow, holding it more secure. Lace a couple of magnetic Zubits into your shoes (using the supplied Lace Anchors) for an instant snap closure. The magnets are really strong and hold quite securely. 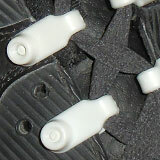 Lace Latches are permanently tied onto one end of a shoelace, then latched over a stop-knot on the other end. 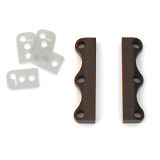 Strong plastic with multiple notches, either for different tensions or to wrap several times to take up extra length. TWZT is laced into shoes so that they can be tightened with a twist. Looks great, but not as easy to tighten as I'd hoped. 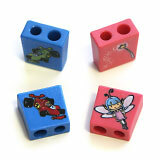 TWZT is more about "making a statement" than helping those who have difficulty tying. For kids learning to tie shoelaces, this simple product helps form permanent "loops" in the laces, with the cute characters then incorporated into a story to help the kids remember the steps involved. Memory Ties training shoelace has a memory fiber core so that it stays put for longer. This helps individuals to get everything into the right position and then plan their next step. Here I'm demonstrating the loop crossover step of my Ian Knot – with one loop holding itself upright! All of the following merchants sell via Amazon.com. Purchases from this section help support Ian's Shoelace Site with a tiny commission. 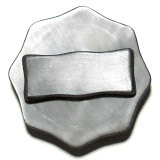 • "Buy Now" links will take you directly to that item in the merchant's on-line store. • Links will open in a new browser window, allowing you to return to this window. • All prices shown are last known prices in U.S. dollars, excluding delivery costs. 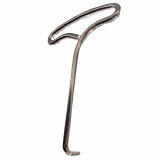 Details: Metal hook for tightening shoelaces. 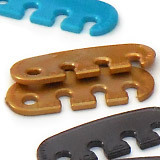 Used by ice skaters and roller skaters for super-tight lacing as well as by anyone who finds it difficult to get their fingers under the shoelaces. 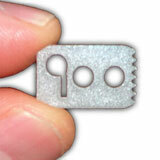 Details: Converts eyelets to speed-lacing lugs. 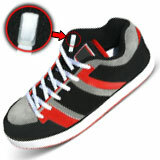 Makes laces easier to tighten and loosen, plus increases comfort as the reduced friction allows lacing to self-adjust. Details: Converts many Combat and Jungle boots from slow lace-ups to fast-action zippered closures. Details: Converts lace-ups to simple Velcro closures. 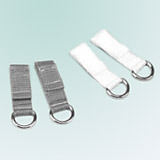 Ideal for those with injuries, disabilities or other difficulties tying shoelaces. D-Rings even allow manipulation using hooks. Search for other shoelace accessories on Amazon.com, sales of which help support Ian's Shoelace Site. A range of popular shoelace styles from selected merchants in different parts of the world.